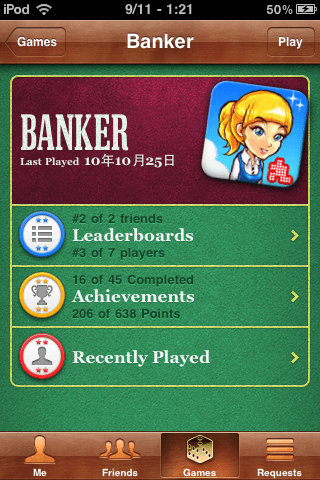 Banker (Stanard version) v1.1 and Banker HD v1.3 updates are now available in App Store. Download Banker from the App Store and enjoy your exciting banker life! 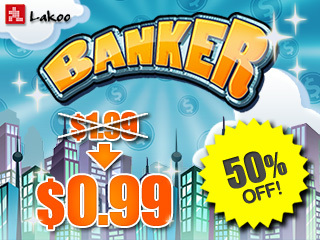 As a thanksgiving special, Banker is now US0.99 only. Download it from app store and enjoy your holiday with Banker! 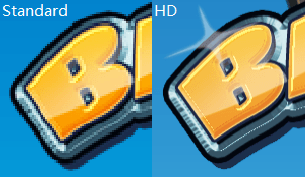 Banker is now available in HD! HD version is designed for retina display devices such as iPhone4, iPod Touch 4G, as well as iPad while it also supports all other non-retina display devices. How can you miss such a great game? 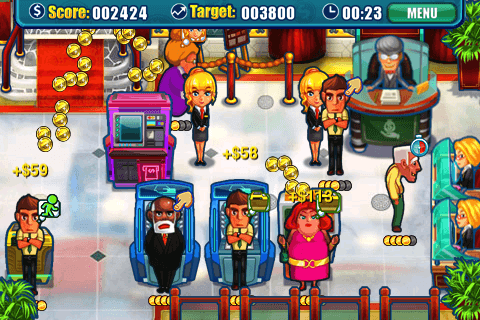 Its our pleasure to introduce you our first iPhone single player title Banker has just launched on the App Store. If you ever craved to own a bank, or wish try and work as a bank manager then Banker is made just for you! Don’t hesitate, go to the App Store and download Banker now! We had introduced the basics of Banker last time, have you been waiting anxiously for news updates about Banker? 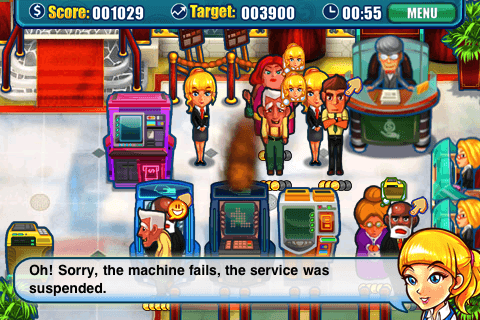 It’s about time we expose more news of Banker for those of you who can’t wait for its release! Banker will establish branches at six different countries (USA, France, India, China, Russia, and Japan). 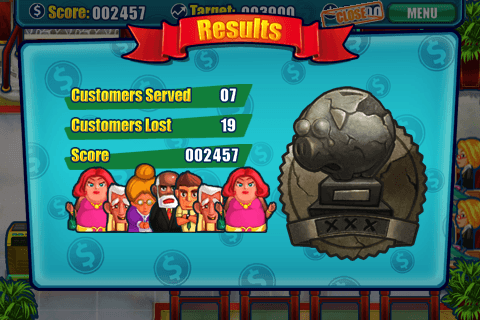 There will be 5 stages per country at a total of 30 stages, each stage will require a different amount of business volume; you will fail the stage if you cannot meet the required amount. There’s more than that in Banker, strategies must be used when you are directing your clients. There are many types of clients in the game, each type of client has different patience and preferences. Your revenue will sky rocket if you can order your clients efficiently, contrastingly, failure to meet your customers’ demands will cause your clients to run off which might lead your bank into bankruptcy! Other than that, Banker also simulates accidental events that also occurs in real life and challenge every bank manager’s reflexes. How will you handle the problems when your bank is facing bankruptcy or when your machine breaks down? Uh oh! It’s out of order! 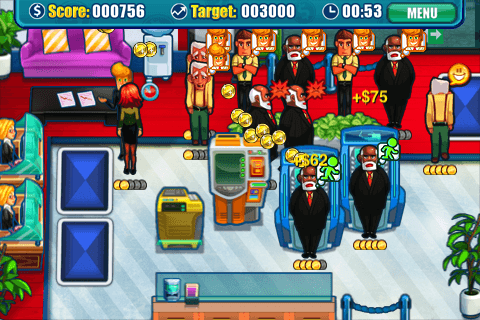 Banker is an intensive and challenging game, players must manage to achieve the minimum business volume before the time runs out in order to avoid being fired. How will you handle your bank when its filled with countless customers? Do you have the ability to keep all your clients satisfied? What would you do if your customers are leaving? 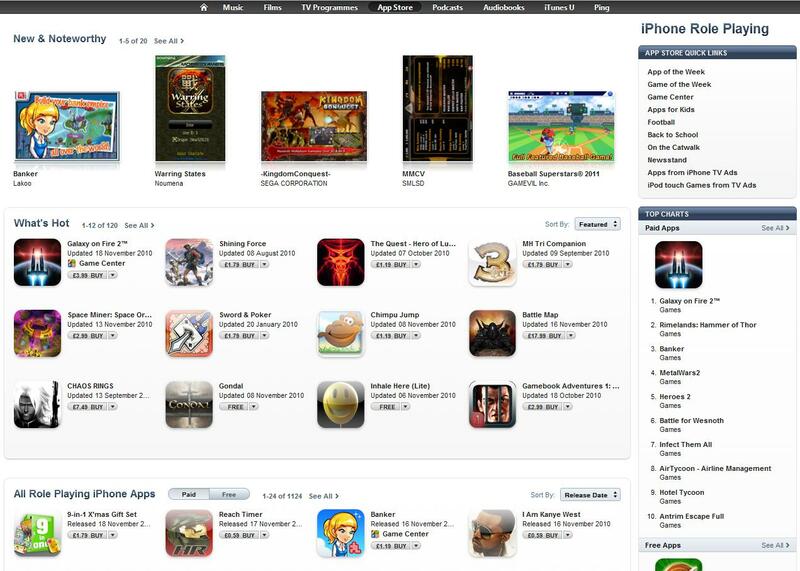 The game also fully supports Game Center. Allowing players to share and compare their achievements with other bankers all over the world. Other than that, there will be different titles according to the achievements you have completed. Titles such as “Ladies’ men”, “Bosses’ BFF” will be available for you to show off in front of your friends! Banker also supports our new Lakoo system. Lakoo system is a brand new platform that we have created that allows players to be able to interact with each other as well as sharing hints or other tips without leaving the game. Also, the system will allow players to share their high scores, achievements, and other information freely at major social network systems such as Facebook or Twitter. Please stay tuned for Banker’s release! It has been a while since we have updated news about Banker, today we will be introducing various parts of Banker that will definitely drive you craving for it’s release! 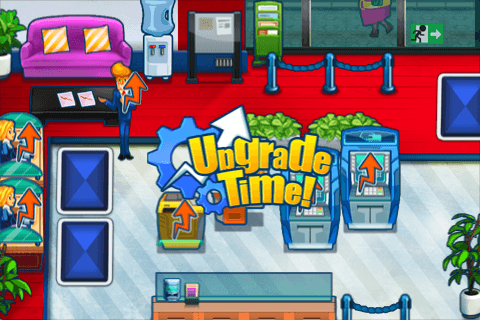 Banker is a popular time management genre game, it’s simple and easy to pick up, you will be addicted to the excitement it brings in just a short period of time! 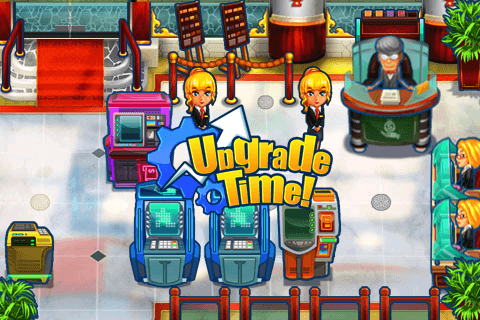 The game is designed for iPhone, iPod Touch, and iPad while supporting iOS3.0 and above (Note: iOS4.1 and below will not be Game Center supported). Banker will be published as a 3-in-1 package, where you only need to make one purchase in order to enjoy Banker in all of your iPhone, iPod, or iPad! 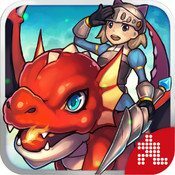 The game will be launched in standard and HD version, HD version is designed for retina display devices such as iPhone4, iPod Touch 4G, as well as iPad while it also supports all other non-retina display devices. The contents between the two versions will be completely identical and they will be sold at the same price at $1.99US. 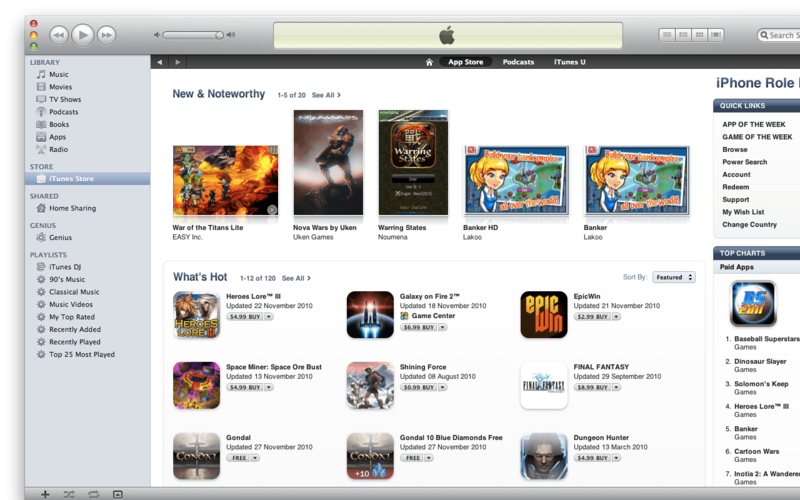 (Tip: If you own an iPad and a iPhone3G, then the HD version is a better choice. 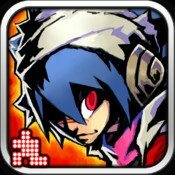 This way you can enjoy the HD graphics on your iPad while you still can play the game as standard version on your iPhone3G). 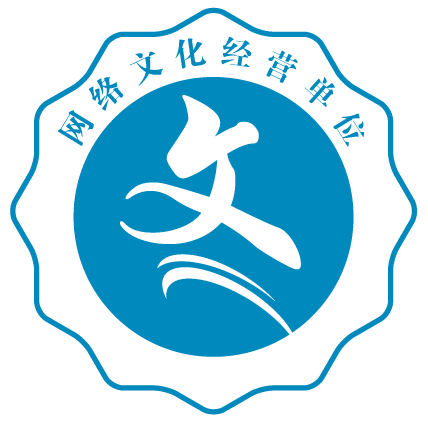 Currently Banker will be featuring in English, simplified Chinese, traditional Chinese, and Japanese. While other languages such as German and Russian might be added as well. The game will automatically adjust it’s language attentively according to your iPhone’s system language, there is no process needed to change the game’s language to fit your preferences! (Note: Banker will set it’s language to English by default if your system language is not supported by Banker’s language versions). 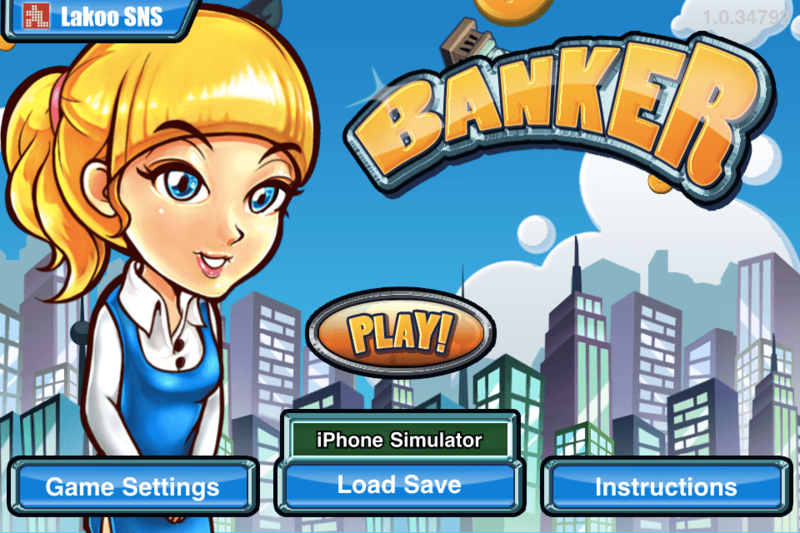 The main focus of Banker is to let players experience how to run a bank, where players will be playing the role of “Bank Manager” and guide a small, local bank into a national bank. Users will be managing everything from bank facilities to all the steps customers may go through in your bank, where you have to satisfy your clients as much as you can. 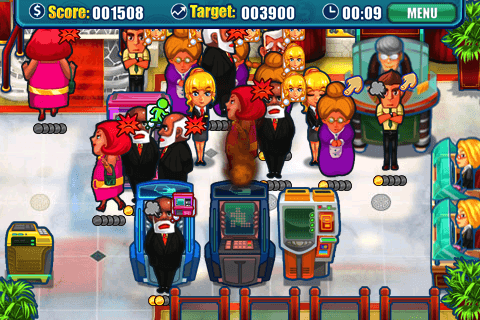 Customers will have different needs going into a bank, such as updating their bankbooks, deposits, setting up their internet banking, withdraws, and other activities; some clients might wish to perform more than one task in a bank, how to organize your clients to line up in order with proper arrangements will be one of the main challenges faced when playing Banker. It’s not easy to be a bank manager! That’s all for today, we will tell you more details about Banker next time. Stay tuned and don’t miss it~!